For those of you who didn’t catch the Royal Wedding of Prince Harry and Meghan Markle, The Kingdom Choir, founded by award-winning conductor Karen Gibson, captivated a nation with their beautiful rendition of Stand By Me. 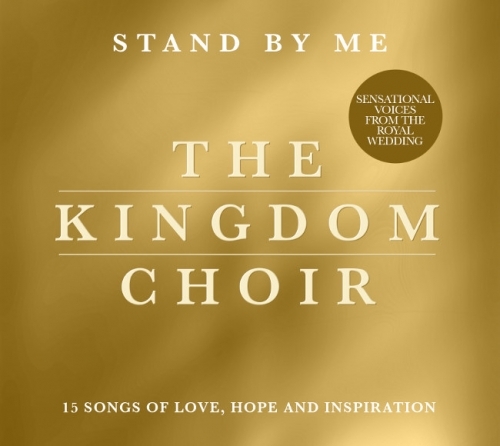 Following the wedding amid intense global interest from news agencies to labels, the choir signed to Sony Music UK and this Friday will release their debut album Stand By Me. Heavily rooted in their gospel heritage and Christian traditions, the album contains heart-rending versions of Beyonce’s Halo, John Legend’s All of Me, as well as the infamous title track and this gorgeous take on Stormzy’s gospel-inspired grime hit. This Saturday the choir will perform at the Closing Ceremony of the Invictus Games Sydney 2018 that will no doubt only add to their global appeal and raise the profile of UK gospel. After this, they will play Union Chapel on 28 November and next May will head out on an 18 date tour across the UK, but before then, we reckon their gloriously warm and emotionally powerful album will surely be one of the big sellers this Christmas.